Need help sourcing car finance? 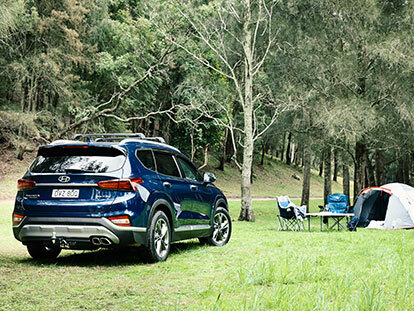 The team at Reynella Hyundai can help you. We offer a range of flexible finance solutions to suit both individual and business needs. Hyundai finance provides you with an easy and reassuring way to drive away in your New or Used Hyundai sooner. • This is a model, not a prediction. It only provides an estimate of amounts and repayment periods and is designed to give an indicative loan repayment based on the information you have provided. • Finance Calculator estimate does NOT include any fees or charges associated with a loan transaction. • Use of this calculator does not imply that a particular interest rate, term or loan amount is available and in no way constitutes an offer of finance. • This calculator does NOT take into account your personal circumstances or ability to repay the payments displayed and is NOT intended to be your sole source of information when making a financial decision. You should consider whether you should obtain advice from a licensed financial adviser. • Please contact our Dealership and speak with the Finance Specialist to obtain your own Personalised Rate Quote.